Now for the answers to your questions! 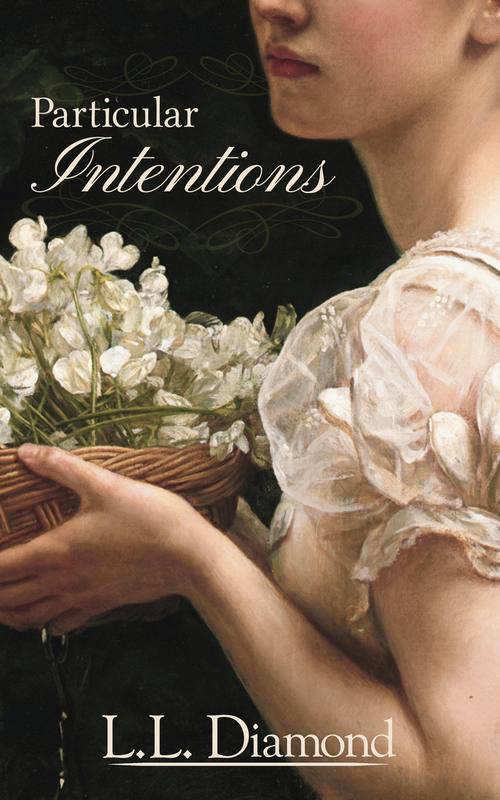 When did you read your first Jane Austen novel and which one was it? What was your initial reaction to it? I first read Pride & Prejudice in the mid 1990s after seeing the BBC miniseries and buying the boxed set. I read it again after I watched the film starring Keira Knightley and Matthew MacFadyen in 2005. 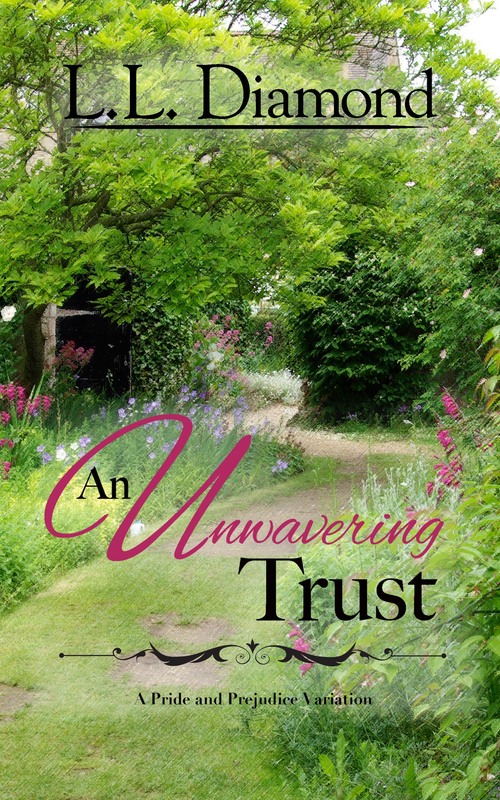 I was astonished anew at what an amazing story it was, and how well it’s held up; and as an aspiring writer at the time, I had a deeper appreciation of Miss Austen’s characters, their conflicts, and of the emotional connection between Elizabeth and Darcy. 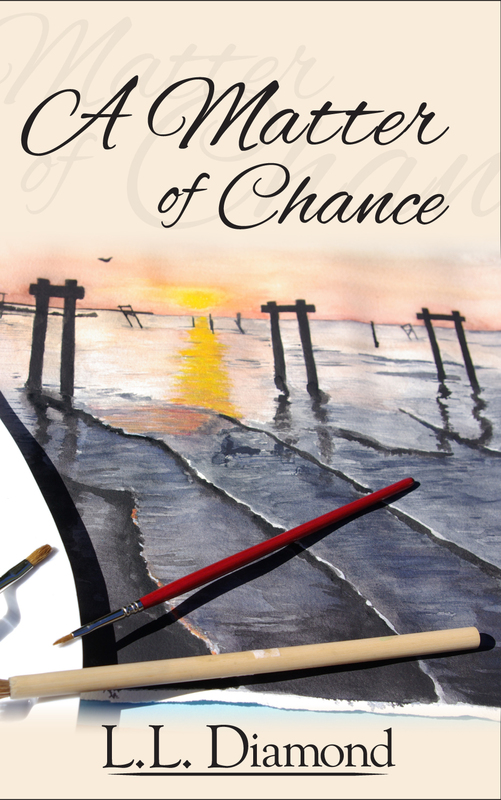 Initially, I feared the book would be difficult to get through – the period language, the slower pace of the narrative – and wondered if I’d be able to finish it. But despite my reservations I found myself drawn into the story and raced through it in less than a week. This is a difficult question! How to choose just one favorite? I would have to say Pride and Prejudice. It was the first Austen novel I ever read, and it left a lasting impression on me. 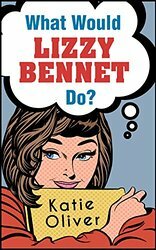 Elizabeth Bennet is a young woman who knows her own mind and is determined to marry for nothing less than love. 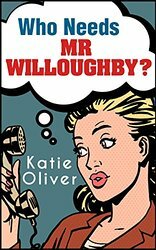 Strong characters, and strong conflict…and who can resist Mr Darcy? He’s without a doubt the most memorable – and most initially misunderstood – hero in literature. Emma and Northanger Abbey are two other favorites. What appeals most to you about Jane Austen’s female characters? Austen’s female characters are without exception strong, nuanced, and relatable in their all-too-human failings…and it’s those failings that make them relevant to the modern reader. They wanted the same things then that we want today – to find happiness, to love and be loved. Which Austen hero is your favorite? I think Mr Knightley has to be my favorite Austen hero. 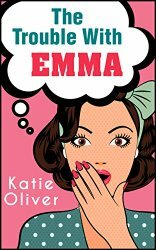 I like his steadfastness and his refusal to tell Emma anything less than the unvarnished truth about herself, even though she might not like it…because he cares for her and sees her worth underneath all of the meddling. It’s that ability to see in her what others do not that makes him appealing. I cannot STAND John Thorpe. He gives me the creepy-crawlies. *shudders* He’s thuggish and underhanded…which makes him the perfect villain, though, doesn’t it? In your opinion, who is the most comedic character in Jane Austen’s stories? Which Jane Austen character would your family say you are most like? I’m probably most like Catherine Morland of Northanger Abbey – always letting my imagination get away from me and always reading a book. And like Catherine, I tend to sometimes be a bit too trusting and take people at their word, which can lead to disappointment. Does your husband share any characteristics with Austen’s heroes? Which hero? Which characteristic? Great question! While I’d love it if he looked like Colin Firth (le sigh), he’s very honest, like Mr Knightley, and fun to be with, like Henry Tilney…although he knows next to nothing about textiles. (Or Jane Austen.) Lol. But he’s a good sport about watching the movies with me…and he loved the film ‘Becoming Jane.’ So he scored big points for that. Does your family know you write? Do you have a special place in which to write? I like to write at the laptop on my desk, in my office just off the bedroom. It’s quiet, and I definitely need quiet when I write. There’s a set of French doors I can close, and there’s a ceiling fan, a TV, and two sofas, so I can – and do! – live back there when I’m on a deadline. I do my best writing in the morning, when my brain is rested and sharp. By about two or three o’clock, I’m useless. Lol. I typically use the afternoon to read over what I’ve written and mark it for corrections, or if I’m not writing, to schedule a few Tweets and Facebook posts and do a bit of promo. I’m always woefully behind on promo. I absolutely crave quiet when I write. But I do like to listen to my iPod when I’m on the treadmill…songs can be very inspirational to the writing process, no question. My musical tastes are all over the map. I like everything from Fleetwood Mac and the Clash to Pink, the Beatles, Carly Simon, B.B. King, and Gwen Stefani. Do you have a set schedule for writing – number of hours or words per day? If I’m on a deadline, yes, I definitely do! When I wrote the JA Factor books, for example, I had to hit 10k a week for ten weeks to make the contracted 80k length requirement…times three. So I was at my desk every morning by seven and wrote until about 1 PM, had lunch, then read through what I’d written and made changes. The next day I made the corrections and picked up with the story. I did this starting in late April of last year through the end of October. It was intense, but I enjoyed every moment. What is it that draws you to the modern comedy a la Jane Austen? Do you follow an outline or fly by the seat of your pants? I write a general outline before I begin, sketching out the major conflict(s), characters, and story arc. I know the beginning and I know the end. But once I start writing, I’m more of a pantser, letting stuff happen as the story unfolds, as long as I don’t stray too far from my plot. Do you ever wake up in the middle of the night because your characters have invaded your dreams?Do you have pen and paper on your nightstand ready to go if they do? No… But I did have this really great dream about Leo DiCaprio the other night… Lol. I think because I’m so focused on my characters during waking hours when I write, at night I’m too tired to dream of anything but the usual silly things – being lost in high school on my first day of school is one that reoccurs every now and then. I’ve thought about keeping a notepad and pen on hand if I ever have a great idea in the middle of the night; but I’d probably just write down a bunch of gibberish, so I haven’t tried it. But maybe I should! Good question. I get up and move, usually – take a walk, get on the treadmill, vacuum, or watch TV; maybe take a shower – anything that gives my mind a little break. A change of scenery also does the trick. How often do your characters take over and move the story in an unexpected direction? Do you pattern your hero/heroine after a real-life human? Who? I usually base my hero and heroine on an actor or actress whose face and temperament fit my image of the character. For my next book, Who Needs Mr Willoughby, I pictured Matthew Goode (Leap Year) as Dr Brandon, and Lily James (Cinderella, Downton Abbey) as Marianne. If you could ask Jane Austen one question that she would thoroughly address, what would it be? Well, as a writer myself, I would love to know what Jane’s writing process was. Did she plan out her plots? Rewrite? Did she have a favorite place to write? Did she like to write in the morning, or the afternoon? How many drafts did she write before she was satisfied with her efforts? If you could spend a month in Regency England, what three items would you take with you? Hmm…that’s a tough one! I’d probably take my iPad. I can’t live without my iPad. (Although wi-fi might present a slight problem.) But it would be a great conversation starter with a handsome Regency buck, wouldn’t it? Plus I’d have a camera to document my visit. Then, I think I’d bring along a good pair of walking shoes. Finally, I’d need sunblock (or maybe a parasol?) to protect my skin while taking a stroll in the sunshine. This was great fun! I want to thank each and every one of you who took the time to leave a question. Such excellent questions they were, too! I hope I’ve provided a little insight into my writing process, such as it is. I’ve enjoyed my visit and thank you all for participating. 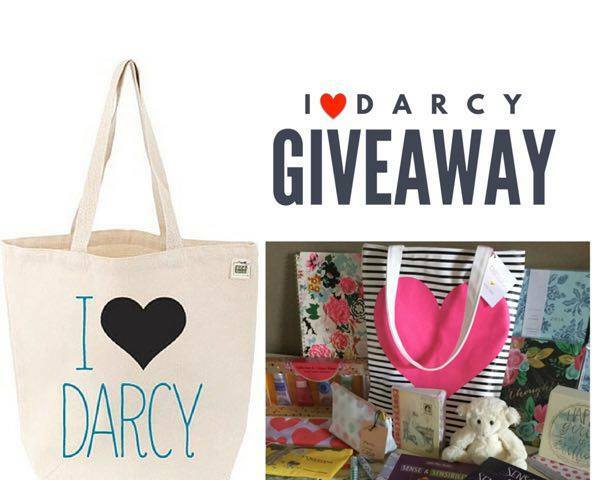 for a chance at Katie’s awesome giveaway! 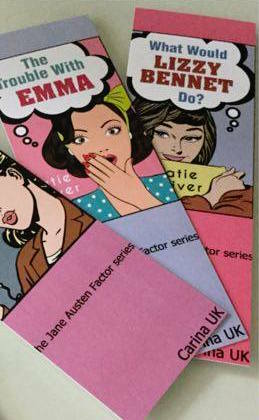 Bookmarks for her new series! If you asked a question on this post, you have 1 chance in the drawing. Please join in! Leave a comment! 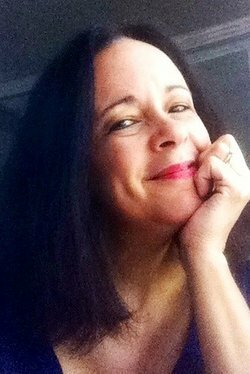 Authors love hearing from you! That was a fun interview and based on a review written by Spicycurry, I just bought my first book in your series. Great fun! Thanks! I totally admire your dedication. My philosophy has always been ‘there’s plenty of time’ then the day before a deadline total panic.😱. When I was doing my GCEs at school I would be trying to read through my work on my way to the exam room. So perhaps it is as well I’m not an author! Great interview and thanks so much for giving us an insight into your life. It was my pleasure, Glynis! I don’t know if I’m dedicated, or crazy, lol. I just finished my last set of copy edits…I had four days to turn them around. ‘Is that enough time?’ my editor asks. ‘Oh, yes,’ says I. Then I proceeded to catch a rotavirus that put me out of commission for nearly two days. Needless to say, I felt like I was back in school again over the weekend, cramming for finals just as you mentioned. But I made it! Whoop! It was a pleasure to read your answers, Katie. My favorite was the character sketch of your husband. He sounds like a great match for an author. I’m in the middle of a writing storm right now, but when I come up for air, I have one of your print copies close to the top of my read pile. Best wishes to you. I’m very blessed to have such an understanding husband, Joy! 😉 He’s very supportive of my writing and knows he has to be very quiet when I’m writing, under pain of death. He’s become quite a fan of the various Austen-based films. It was fun to read all your answers in this interview. Thanks, Lady Susan…I really enjoyed answering these because they were excellent questions. Best of luck in the giveaway! Thanks for such interesting and thorough answers to our questions, Katie. I know I’m rubbish when it comes to deadlines. It’s usually down to the wire for me! I always start with the best of intentions, Anji, and then…well, I end up panicking and wondering where the time went. Time flies when you’re procrastinating! Loved your answers and had to laugh regarding your recent dream! I too didn’t read Pride & Prejudice until after the 1995 P&P which for me is still the best. I like how you pick an actor for each of your characters. Thank you for taking the time and for your giveaway! Great questions and very fun answers! On the last question about what I’d take to regency England would be a toothbrush and toothpaste for sure, my own bras and underwear and antibiotics! I think of Clare from outlander and how antibiotics saved her or Jamie…. I started reading Austen when I was 13 and bought my first souvenir back then which was first day edition of stamps commemorating Jane Austen in the 1970’s. I couldn’t ever imagined that it would lead to Janites, and variations which I adore to read! My question would be, what would you want to be in regency times? A gentleman’s daughter or a tradesman’ daughter? While the obvious answer is to be a gentleman’s daughter, I think being a tradesman’s daughter would offer more opportunity for adventure. You’d be unchaperoned at times (at the market, for instance), so you’d have more chances to meet interesting people and experience more of the real world. As a writer, I find this option more intriguing. So I think I’d chose to be a tradesman’s daughter! Thanks so much for the comment and for posting such a terrific question!